Medline is a comprehensive index of biomedical research journals in medicine, nursing, healthcare, biology, biochemistry, biotechnology, and related fields. Enter words and phrases in the search box (1). Put phrases in quotation marks. Use the AND option to make a search that combines two or more concepts. 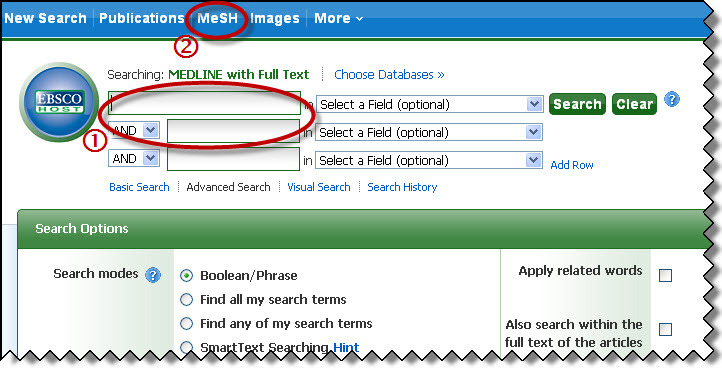 When greater precision is needed, choose the MeSH option (2) to view and use search terms from an official list of conditions and concepts.